Castle Comfort Stairlifts offers top brand stairlifts, keen prices and fast installs for all those seeking stairlifts in Galway, Ireland . And all work comes with our no-quibble guarantees and famous customer service satisfaction. Welcome to the town of Galway on the west coast of Ireland. Like all the other towns and cities we’ve visited on this blog, Galway is also a town supplied by Castle Comfort Stair Lifts. So if you or a loved-one need one, there is no need to dash off to the east as our representative in nearby Cork will be happy enough to take you through all we have to offer and what is suitable for you. Please call 021 236 3222. Galway sits on the edge of Galway Bay which has been romanticised in many a song. 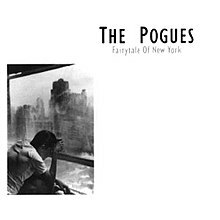 The traditional Irish song Galway Bay suggests it is the place to see the sun go down and is the song that one of the topical, all-time Christmas favourites, Fairytale of New York reminds us is being sung across the Atlantic by the NYPD! The city of Galway is also known as the City of Tribes because in the period when the Normans arrived, there were 14 tribes or merchant families all trading and leading the city at the time. The tribes or merchants would have perceived themselves as Irish gentry – many of the Normans marrying into the Irish families of note. Lynch’s Castle is on Shop Street, the main shopping street, in Galway. It is an example of a medieval town house which is today a branch of the Allied Irish Bank. It still bears the arms of the Lynch Family and of Henry VII. On Market Street you can see The Lynch Window commemorating the hanging of Mayor James Lynch FitzStephen’s son commissioned by the Mayor himself after his son stabbed a young visiting Spaniard. The remains of Menlo Castle which was burnt down in 1910, are just outside the city on the banks of the River Carrib. This was the ancestral home of the Blake family from the beginning of the 17th century to the beginning of the 20th century. The best view of Menlo is from the west bank at Dangan or at the riverside walk at the National University of Ireland nearby. The Blake family’s town house (Blake Castle) or rather its façade can be seen next to Jury’s Hotel at the bottom of Quay Street. Everyone’s home is their ‘castle’ so the saying goes. I expect it is no different for you. 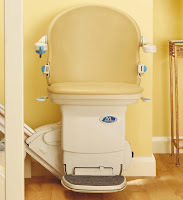 If you want to be able to get around your ‘castle’ as well as you ever did but are finding it increasingly difficult, give Castle Comfort Stair Lifts a call on 021 236 3222. We can help you decide which type of stairlift is the most suitable for you and your budget, Straight, Curved, Perch and even reconditioned. We can advise and help you compare prices before you make your decision. Starting with the religious, the medieval St Nicholas’ Collegiate Church, the largest of its time is still in use in Galway. The Roman Catholic Cathedral of our Lady Assumed into Heaven and St Nicholas is much larger but also much younger. It was consecrated as late as 1965. Near to the Cathedral is the quadrangle building of the National University of Ireland, Galway which is one of three ‘Queen’s’ colleges in Ireland along with Queen’s College, Belfast and University College, Cork. A monument to Christopher Columbus stands opposite the Spanish Arch in front of Jury’s Hotel in the city. The monument was presented to Galway by Genoa to commemorate the 500th anniversary of Columbus’ voyage to the New World and the visit of Columbus to Galway in 1477. 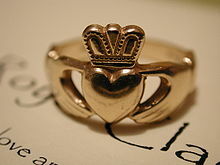 The Claddagh Ring designed with two clasping hands clutching a heart and usually shown with a crown. This ring was first made in the 17th century during the reign of William and Mary though the design can be traced back to the Romans. Traditionally the ring is given as a symbol of love or friendship and often as a wedding ring. Dillons Claddagh Gold on Quay Street were the original makers of the rings. The small museum attached to their premises has some of the world’s oldest examples of the ring. 17th century Marriage Stones – a stone lintel carved with the initials of the two parties – can be seen throughout Galway on the outside of buildings or occasionally inside i.e. the King’s Head Pub. Another tradition: watch the Atlantic salmon swimming upstream to spawn from the Salmon Weir Bridge over the River Carrib. Nora Barnacle, the eventual wife of James Joyce, was born in Galway. Their first romantic liaison was on 16th June 1904; this was later used by Joyce as the basis for Ulysses. The day became known as Bloomsday and is still celebrated on the same day every year in Dublin. 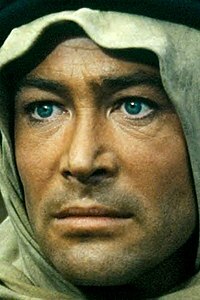 Peter O’Toole’s birth place is given as either Galway or Leeds in West Yorkshire! For now Galway can claim him! O’Toole found fame after portraying T E Lawrence in the film Laurence of Arabia. He went on to star in many theatre and film productions. Aoife Mulholland first found fame appearing in the BBC TV show ‘How do you solve a problem like Maria’; she was runner up but this hasn’t prevented her accolades as a musical theatre actress. Aoife has twice appeared as Roxie Hart in Chicago at the Cambridge Theatre; as Maria von Trapp in The Sound of Music at the London Palladium for 18 months; as Brooke Wyndham in Legally Blonde at the Savoy. Actress Pauline McLynn best known for her portrayal of Mrs Doyle in Father Ted and Libby Croker in Shameless grew up in Galway. So for all you sons and daughters and residents of Galway, let Castle Comfort Stair Lifts help those of you who need it to get around better. Remember we’ll come and assess your stairs to see which lift works best for you; a stairlift can be fitted in an afternoon so we can have you ‘up and running’ in no time at all. Whilst you’re at it you may as well check out grants for stairlifts to see if they can help finance your investment. Please listen to our founder Keith’s short video at the top of this blog which will explain a lot of your unanswered questions and then give us a call on 021 236 3222.